Home » Blog » Tips from Insurance Broker – What You Need to Do at Claim Time? Insurance is one of those things where you don’t need it until you, well, need it. It’s designed to protect you financially so you’re covered when something goes wrong. When the time comes for you to make a claim, it’s understandable that you want the process to be as fuss-free as possible. Today, we’ll be sharing our top tips to help ensure your claims process runs as smoothly as possible. In many cases, it’s a good idea to check your insurance policy Product Disclosure Statement (PDS) to see if you can make a claim. It’s easy to check what your exclusions and inclusions are so you have a better idea as to whether you have a valid claim. If your claim involves an incident such as theft, burglary or vandalism, keep in mind that the insurer will often require a police report to go ahead with a claim. For this reason, it’s generally a good idea to contact the police to log the incident. Remember to ask for an incident number and write this down. Rather than speaking to the insurer and then waiting for them to ask for information, it’s a good idea to have your evidence ready to go. This could include police incident numbers, proof of purchase, repair estimates, or photographic evidence of damage. 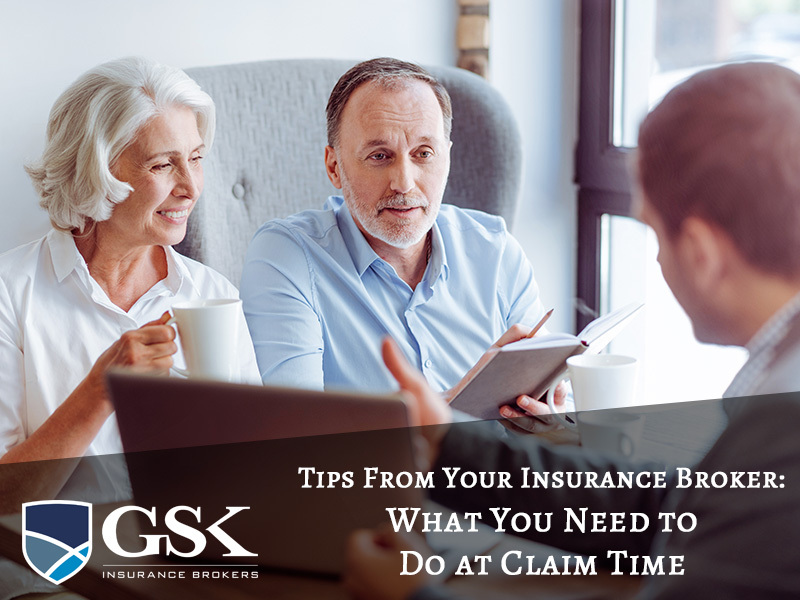 If you have a claim which isn’t particularly urgent, it’s easy to just put it on the back burner. However, remember that many policies will have a time limit on them and you don’t want to be in a situation where you leave it too long and can’t claim. Even if it’s not urgent, get the ball rolling with your claim as soon as possible. If you have an insurance broker, the first thing you should do is give them a call. They’ll be able to advise you best on what you need to provide and explain the process to you. Best of all, they take the hard work out by negotiating directly with the insurer on your behalf at claim time. If you’re looking for insurance brokers in Perth, WA, you’ve come to the right place. GSK Insurance Brokers lead the industry thanks to our combined knowledge and experience and we have a loyal client base which stretched across Australia. With our friendly, professional approach, we make the process of taking out insurance as easy as possible and are there to support you along with the way with claims or questions. For an insurance agent in Perth, speak to the team at GSK Insurance Brokers today on (08) 9478 1933.